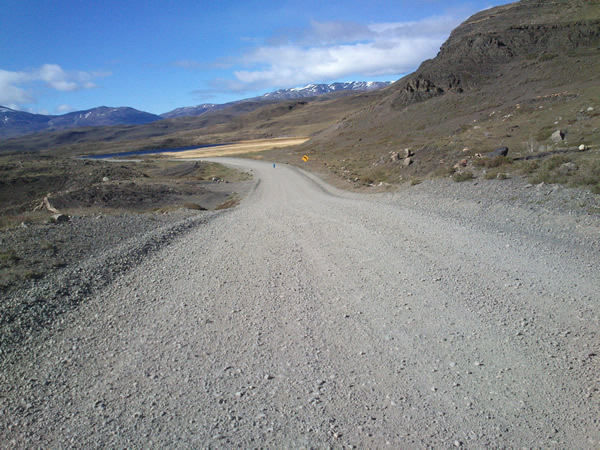 Do you find the lonely runner? 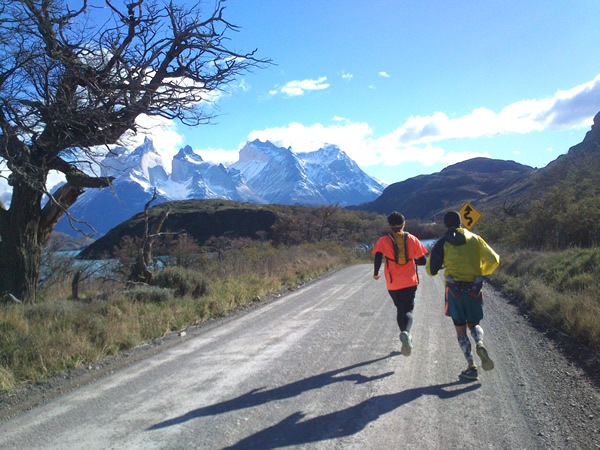 An extraordinary running event takes place every September in the extreme south of Chile, in the Torres del Paine National Park. 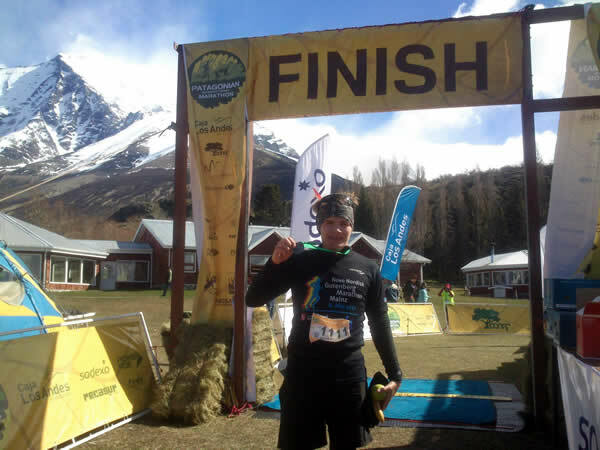 In the “International Patagonian Marathon”, I ran with participants from all over the world on a challenging course through wild nature. 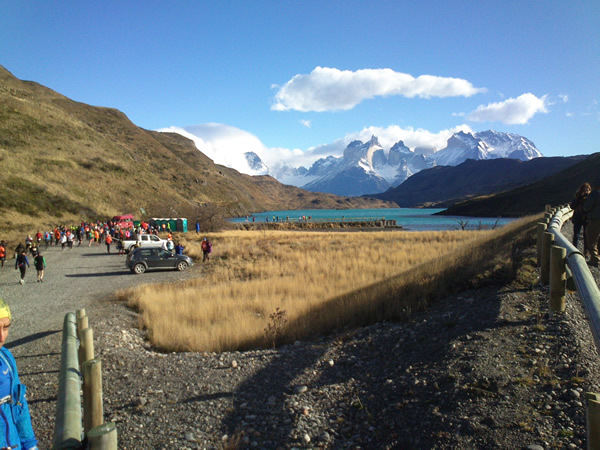 The selective marathon course starting at Puente Weber in the southern part of the national park, first leads in northern direction along the shore of lake Pehoe, passes then the southern side of the Paine-massif, while crossing one hill by one. 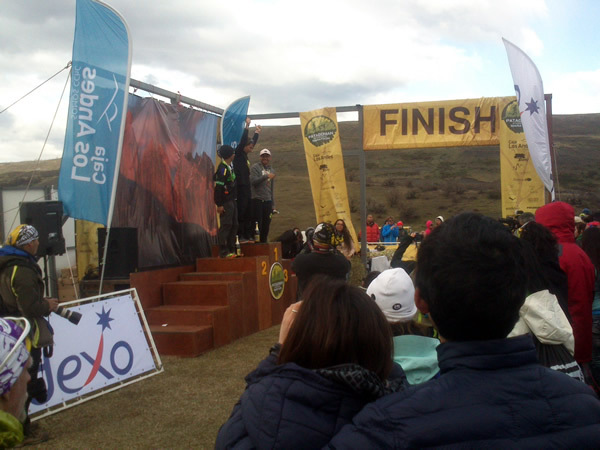 The finish line is finally at the hotel “Las Torres” at the foot of Monte Almirante Nieto. During the run I hadto fight with myself and the changing weather conditions. In the morning at the start at ten o´clock, it was very cold. The constant wind could be a friend or an adversary, depending on whether it came from behind and pushed me forward or from the front and made me slower. Sometimes ,when there was no wind in the dips between the hills, the sun burnt from above implacably, but the beautiful view during the race made it up! 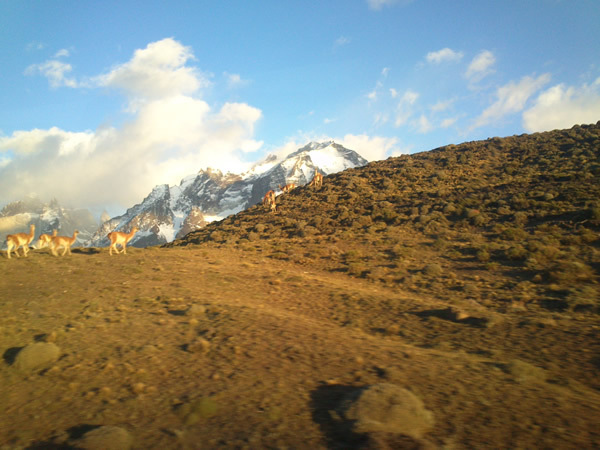 Now and then I saw some guanacos near the route, apart from that it was very lonely. The few spots where the runners got cheered are at the finish line, at the hydration stations and at the half marathon-mark, where many other runners were waiting for the start of their own race. Besides the normal marathon over 42.195 km, there is also a 10 km-race, a half marathon and an ultra marathon over 63 km. For me, this marathon was an incredible experience because until now I had just taken part in city marathons with flat courses on asphalt. It was definitely worth the long arrival and the effort of the race. Furthermore, you support with your start a reforestation program in the park. Every runner donates a tree and at the end of the day 1100 new trees were accrued.